You never forget a good teacher. 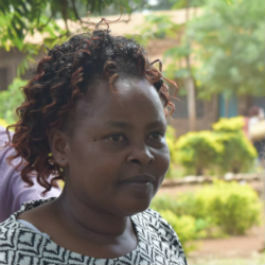 Mary Matua, former headteacher at Kanjoo School – a remote rural school in Meru, Kenya – is certainly a teacher her pupils will always remember. 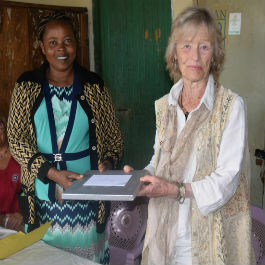 During her five-year term as headteacher, Mary worked tirelessly to improve the resources and experiences available to her pupils and even created a secondary school so that students could continue their studies. As Born Free’s Head of Education Laura Gosset explains, Mary isn’t just a wildlife hero – she’s an educational hero too. “Mary is a passionate advocate of environmental education and along with her team created a Born Free forest - a programme of planting indigenous tress at the school to promote reforestation and habitat protection,” Laura says. “The school also now has a booming environmental club that enables and excites children in conservation learning. “Kanjoo School has only been partnered with Born Free since 2016 and has already achieved so much thanks to the dedication of the team. Although Mary has moved on to another school, her passion will remain with the staff and students and she will have the opportunity to change the lives of another school for the better,” Laura adds. Mary knows how important it is for children to learn about and respect the world around them, especially living on the edge of the wildlife-rich Meru National Park. 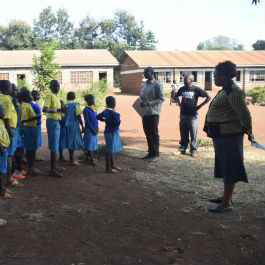 “Conservation in Meru has brought great importance to our community by creating opportunities for some of our members – for instance some of our pupils are employed there, we get foreign exchange opportunities and we get visitors who come to our school,” Mary says. “If it wasn’t for wildlife, we would not come into contact with them." “We don’t have conflict with animals in our schools,” Mary adds. “The animals, like baboons, eat fruit from the same trees as our pupils – although at different times like when classes are in session. I have never seen children bothered by this because they have become used to it.